Two of the cigarette makers that lost an appeal of a landmark $15-billion class-action lawsuit have obtained a temporary reprieve from compensating 100,000 Quebec smokers after securing creditor protection in an Ontario court. A judge granted JTI-Macdonald Corp. creditor protection last Friday afternoon, and Imperial Tobacco Canada was granted creditor protection Tuesday. It’s the latest development in a legal battle that has gone on for almost 20 years. The Ontario Superior Court decision also suspended until April 5 all legal proceedings against all three companies that lost in the Quebec Court of Appeal earlier this month. Those proceedings include health-care cost recovery lawsuits being pursued in each province. “We weren’t surprised that they made a legal move,” said Mario Bujold, strategic adviser for the group. “What surprised us a lot was that they didn’t inform us about it in advance. Bujold said the council’s lawyers will be in the Ontario court on April 4 to contest the ruling. He said the matter would also be raised at a March 25 session at the Quebec Court of Appeal, which was scheduled before the Ontario decision. 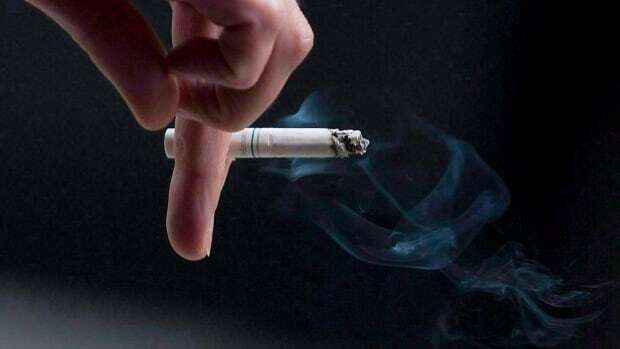 On March 1, the Quebec Court of Appeal upheld a landmark judgment ordering the three firms to pay approximately $15 billion in damages to the tens of thousands of smokers. Rothmans, Benson & Hedges Inc. confirmed it will seek leave to appeal that ruling to the Supreme Court of Canada. However, while the two companies are under creditor protection, they won’t have to disperse any funds to tobacco victims. In a statement, Imperial Tobacco Canada said it sought creditor protection in part so it would not also have to pay JTI-Macdonald’s share of the damages. In a statement released Friday, JTI-Macdonald said it needed to seek protection under the Companies’ Creditors Arrangement Act in order to “protect 500 Canadian jobs and carry on its business operations with minimal disruption. “We fundamentally disagree with the court decision and are taking all necessary and appropriate measures to defend our lawful business,” it said. Two Quebec lawsuits were first filed separately in 1998 and were heard together in 2012. In 2015, a Quebec Superior Court justice ruled in favour of two groups representing the Quebec smokers, led by the Quebec Council on Tobacco and Health, which argued the companies didn’t warn their customers about the dangers of smoking. One group includes individuals who became seriously ill from smoking. The other group is made up of people who say they are unable to quit smoking. Plaintiffs with cancer who began smoking before January 1976 are to get $100,000 each. Those who first lit up after that date are entitled to $90,000. Those with emphysema will receive $30,000 in moral damages if they began smoking before Jan. 1, 1976, and $24,000 if they started smoking after that date. For the almost one million Quebec smokers who were unable to quit, the breakdown comes out to about $130 per person. Bujold said Ontario court’s ruling can be extended beyond April 5, and he worries people in the lawsuit will never see any money. JTI-Macdonald and Imperial Tobacco are also considering seeking leave to appeal the $15-billion judgment against them to the Supreme Court of Canada.